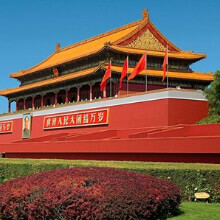 Asia is filled with beautiful places like The Great Wall of China, people and it is also filled with delicious food. You may not have enough time or it may be too expensive to travel to Asia to experience all of these wonderful things. 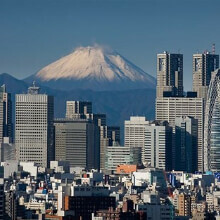 Art is full of Asian food, places, calligraphy and more for you to enjoy. If you've already been to Asia, Asian art can display that you've been there or remind you of the beauties you saw there. There are many traditions that are revealed in Asian Art. 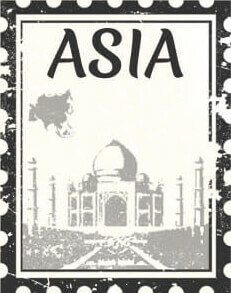 So here's your passport to visually explore all of Asia...enjoy! Visually experience the many food and drinks popular in Asia including sushi, rice, tea, sake and others. There are many foods that are well known and from Asia. These mouth watering prints make the perfect decor for restaurants and homes that are Asian themed. 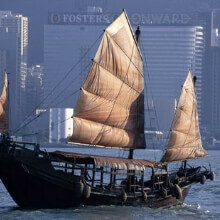 They also represent traditions for people of the Asian culture. 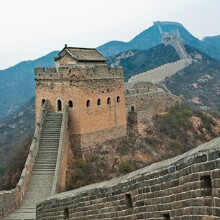 Have you traveled around Asia to see the Great Wall of China, Beijing and other famous, beautiful Asian places? If you have, Asian art can show others the beautiful places you've been and can also remind you of the beauty and experiences you shared with Asia. If you haven't been to Asia, artwork that shows the famous places in Asia is a good way to experience the beauty. Asian calligraphy is a popular style for many artists. The smooth lines flow creating flawless and meaningful symbols. Because these prints have symbols with so much meaning, it makes them perfect for places that need tranquility. 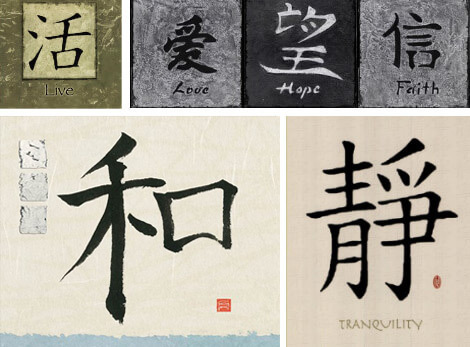 Asian calligraphy is often part of yoga and relaxing spa images and are used in spas, salons, and sanctuaries of relaxation. Words are often used and meaningful messages like wisdom, peace and hope. 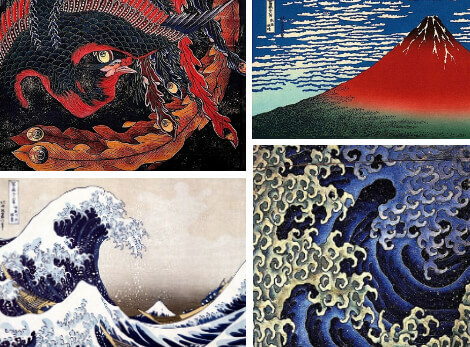 This famous Japanese painter, Katsushika Hokusai, has produced many well-known Asian inspired paintings. His most popular piece is The Great Wave of Kanagawa which can be seen in houses and Asian inspired public places like restaurants and shops. Aside from being a painter, Katsushika was also a wood engraver, ukiyo-e print designer and a draftsman. He incorporates a lot of Asian culture and Asian symbols in his artwork. 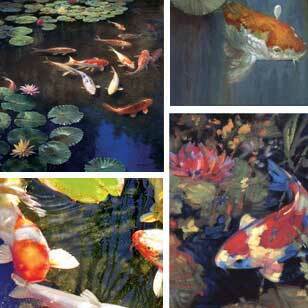 Find balance and relaxation with koi pond art. Koi art has been around for centuries in Asian art. Koi pond paintings have great detail even down to the colors used. Colors of the flowers compliment or match the colors of the lily pads and fish. 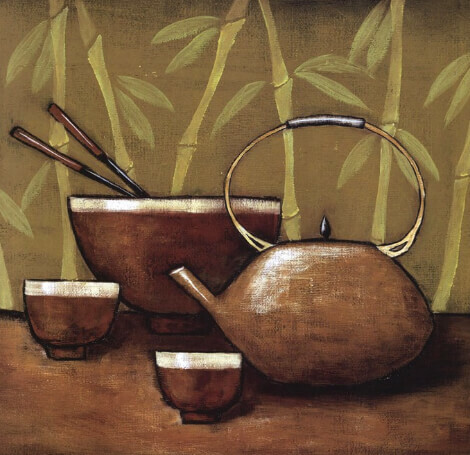 These paintings are great in Asian themed homes, restaurants and any other room that needs balance. Most Asian garden art is so realistic that you can imagine yourself walking through and seeing the beautiful sculptures and plants and smelling the faint scent of sweet flowers. Asian garden prints are unique and have more than just flowers and sculptures. These full of color pictures and paintings include sanctuaries, bridges, animals and even people. 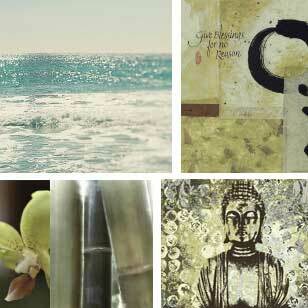 Zen artwork is motivational words or quotes to help you stay focused and inspired. Some include yoga positions or abstract patterns. 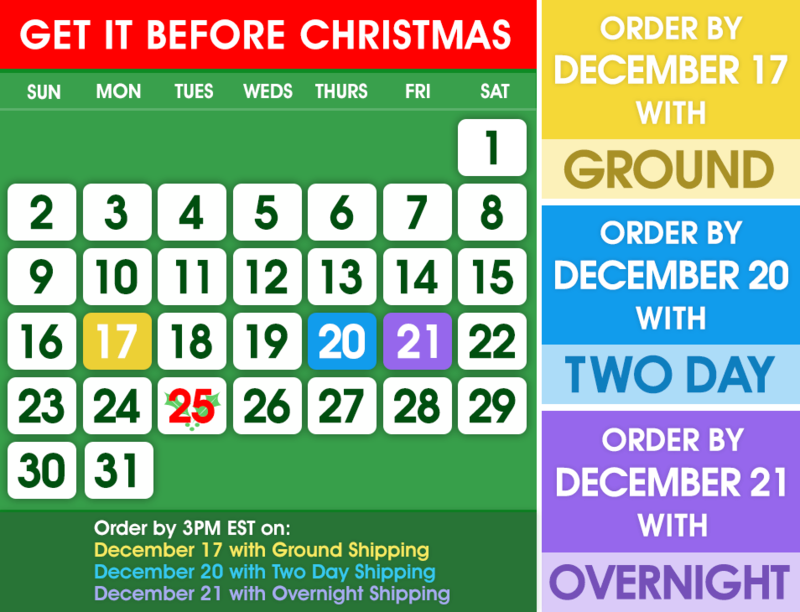 These prints are perfect for the office at work or home. 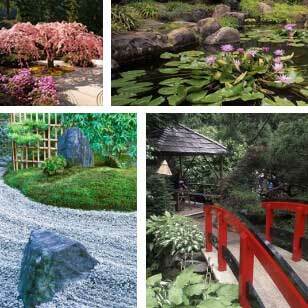 Another aspect of Zen art is calming and relaxing with flowers, stones and views of water. These pieces will compliment any room that is lacking tranquility.